The Liquid Biopsy Center (LBC) is an initiative made possible by the VUmc CCA Foundation and the Cancer Center Amsterdam. The main goal of the LBC is to collect and safely store several kinds of biofluids, such as blood and/or urine, from cancer patients. These stored biofluids represent a unique resource for cutting edge translational cancer research to fulfill the promise of personalized cancer care. Nowadays, cancer is diagnosed through painful and invasive tissue biopsies of a suspected mass. Additional (repeat) tissue biopsies are sometimes necessary in the follow up, increasing the chance of complications. By means of the LBC-initiative, in 1-2 years researchers will be able to design and test novel non-invasive methods for detecting cancer in biofluids. These tests can be utilized for earlier cancer diagnosis, more accurate cancer prognosis and better treatment selection. 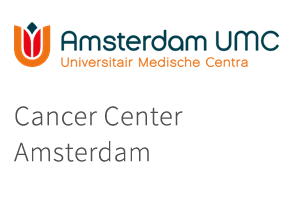 The overall aim of the Cancer Center Amsterdam Liquid Biopsy Center is illustrated in the movie above.